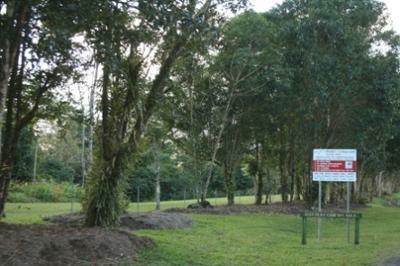 Babinda Camping Ground - FREE!!! Babinda, north Queensland, just south of Cairns..
beautiful little town, in the middle of sugar cane fields and tropical rainforest..
somewhat shaken by the 2011 Cyclone Yasi (even though nowhere near as badly as it was after the 2006 Cylone Larry) but anyway..
on the east side of the Bruce Highway there is a great camping ground that is all FREE!! !